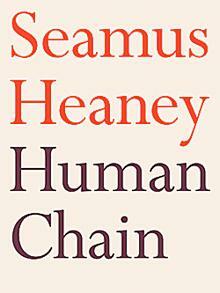 You are currently browsing the tag archive for the ‘Seamus Heaney’ tag. The custom of the Northmen reveres the life of war. Verily these huge men fight continually; they are never at peace, neither among themselves nor among different tribes of their kind. They sing songs of their warfare and bravery, and believe that the death of a warrior is the highest honor. ‘cough’, ok time for Emmet to do some name-dropping. This one time, Seamus Heaney nicked my glass of wine. That is the end of the anecdote. You may applaud. In 1999 Heaney’s translation of Beowulf was published. I remember at the time I thought it an excellent reintroduction to the text, as well as a neat commentary on the epic poem’s privileged status in English literature, courtesy of the author’s stylistic choices. John Gardner’s Grendel is another excellent parody and commentary on the text, one which I would happily recommend to anyone. I never realized Michael Crichton had had a go as well. Eaters of the Dead concerns the adventures of a scholar from Baghdad, named Ahmad ibn Fadlan in Northern Europe. Actually his full name is given as: “Ahmad ibn-Fadlan, ibnal-Abbas, ibn-Rasid, ibn-Hammad.” Courtesy of a dalliance with a merchant’s wife (Crichton makes it clear that Fadlan is all man), the Caliph sends him on a diplomatic mission to the Bulgars to instruct the people there in the Muslim religion, at the request of their king. Crichton’s authorial voice appears throughout the book commenting on Fadlan’s ‘historical’, account of what happened next. After passing through 10th century Turkey, Fadlan and his party encounter a group of vikings, led by the warrior Buliwyf. Through a combination of superstition and the sheer martial superiority of the Northern ‘barbarians’, Fadlan becomes an unwilling member of a mission to liberate a King Rothgar from so-called ‘mist-monsters’. The majority of the narrative is concerned with the cultural differences between Fadlan and the twelve warriors who have press-ganged him. Unfortunately this tends to boil down to various vikings calling him a ‘stupid Arab’, or his admiration for their sexual prowess. In fact there is not a single female character in this story. King Rothgar’s queen is mentioned and a proxy ‘Grendel’s mother’, is unveiled, but for the most part the women in this story are simply there to be sexually available to Buliwyf and his men. Fadlan is at first ashamed at public displays of sexuality and retreats making obeisance to Allah, but eventually he joins in. Oh and the Grendel of old Saxon legend is revealed to be a tribe of ‘wendols’, or as Crichton makes clear in the afterward, neanderthals. I have a number of problems with this demystified take, not least of which the 10th century setting, as well as the descriptions of these neanderthals riding horseback. I was under the impression that not only would this bipedal species have long been extinct by the period of Crichton’s choosing, they would also be too large to be carried by horses. Secondly the wendols are revealed to be a matriarchal society that worships a stone carving of a pregnant woman. The vikings react with disgust at sightings of her icons and when combined with the unusual emphasis on male virility throughout the book, a disturbing subtext begins to emerge. This is a very peculiar book. As a fantasy it is a failure, a pale imitation of Beowulf. Vikings are a source of fascination for modern readers still and I wonder if it is because the simplistic take on their civilization – war-mongering sea-raiders, much given to slaughter and rapine – is not as morally conflicted as the European culture that followed. In that sense Crichton’s work is yet another indulgence in vicariously enjoying a life unfettered by contemporary mores. Once again though my main objection to this author’s work is his insistence on pretending to pseudo-science. With Eaters of the Dead Crichton is attempting a revisionist work, challenging our perception of viking culture, while at the same time introducing contemporary prejudices into the narrative. This is a trend that would eventually led to his becoming held up as a authoritative global warming sceptic – following the publication of his book State of Fear, which was a work of fiction, but once again attempted to sit on two stools, occasioning much criticism. Crichton writes at one point: “But Ibn Fadlan was a writer, and his principal aim was not entertainment […] his tone is that of a tax auditor, not a bard; an anthropologist, not a dramatist.” Stangely fitting that.